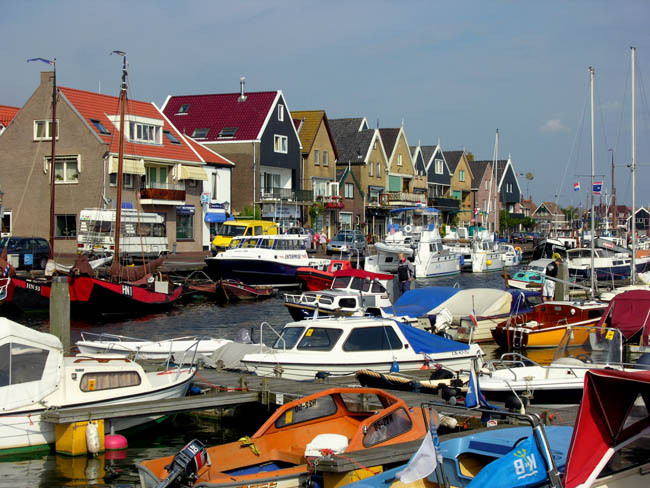 The amazingly colorful, and crowded, town of Urk. 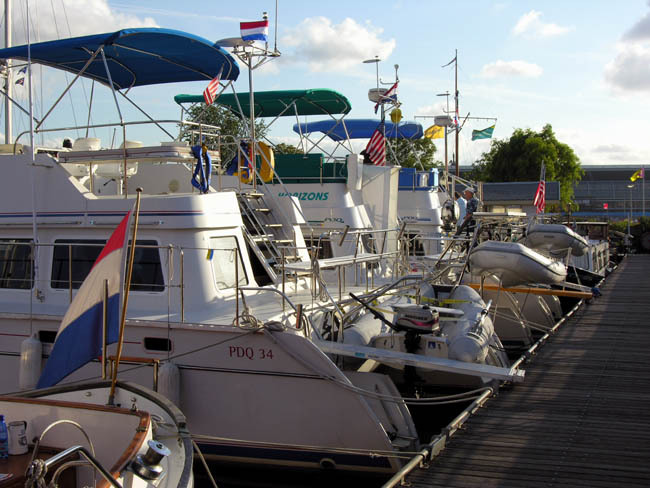 Still, we were able, once again, to find space for our three outsized boats. 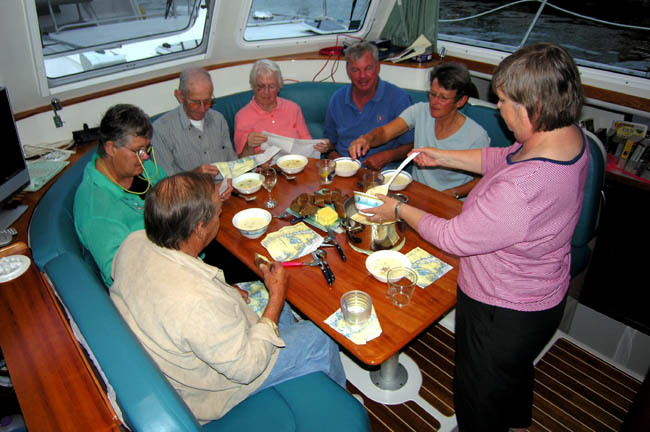 Nancy serving homemade fish chowder aboard Sno' Dog as we celebrate her mother's 81st birthday. Joining us are Peter & Jeanne from Watermelon and Paul & Ann from Horizons. Who says you can't seat eight people in a PDQ dinette? 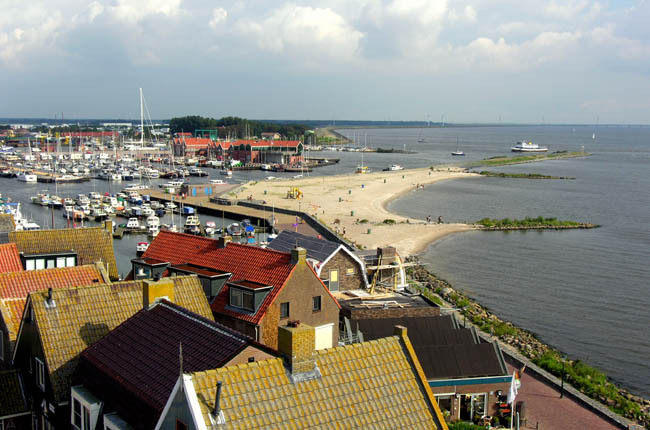 Sixty years ago, Urk was a 2-acre island - a small fishing village with a lighthouse - some 10 miles offshore in the ZuiderZee. 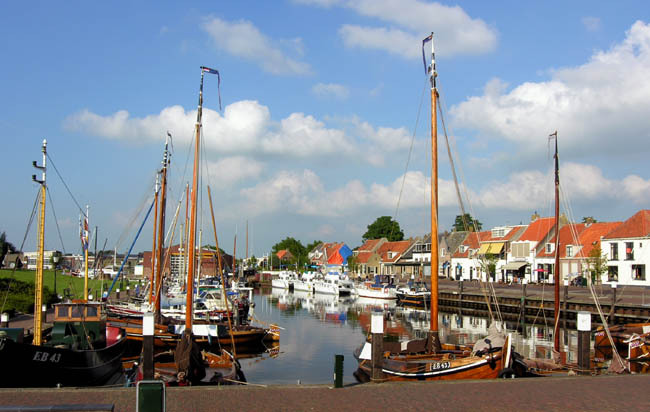 Now, it's part of the mainland, but it still remains a unique and picturesque port - on the Ijsselmeer. 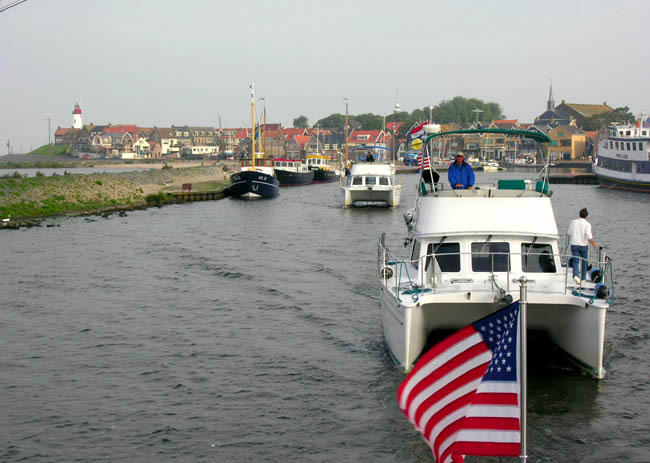 From here, we headed back through the locks and along the protected waters of the newly-created Flevoland polder. 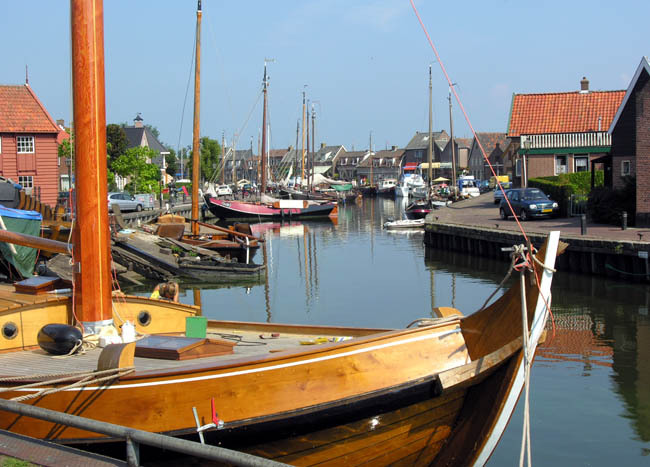 We stopped first in Elburg, then the following night, in Spakenburg. In both towns we were able to find spots for all three of us on the wall - in the heart of the towns. Gorgeous! Our three PDQ's lined up on the wall in downtown Elburg - a beautifully preserved 13-century town complete with a moat! 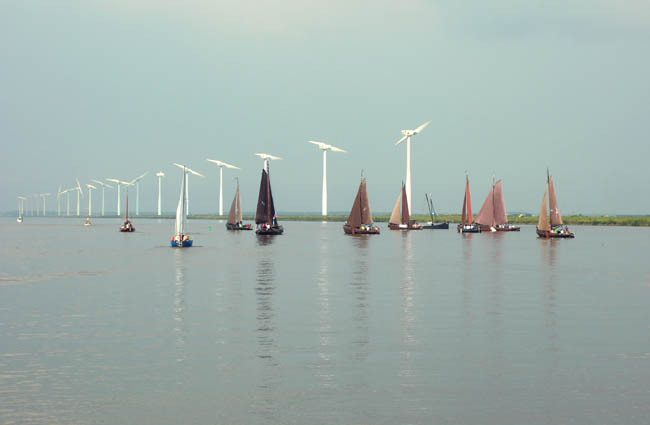 A rare wind-less day on the Randmeren, the boters are trying to race. 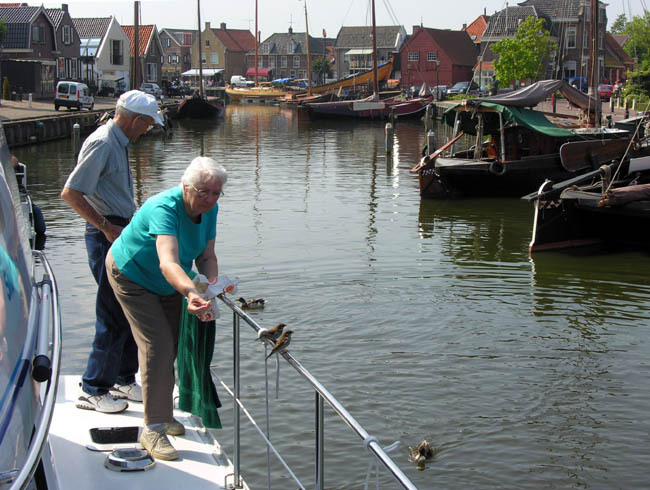 Nancy's mother feeding the ducks - and birds! 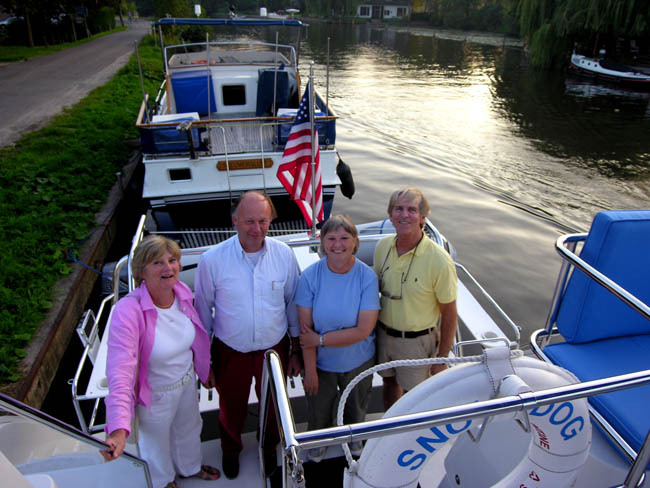 In Nieuwersluis, 10 miles up the Vecht river, we met up with our Dutch friends, Gonny & Robert Bootz, from 20 years ago when we used to keep our canal barge in nearby Oude Loosedrecht - a very fun reunion. With a few days to spare before the loading of boats. 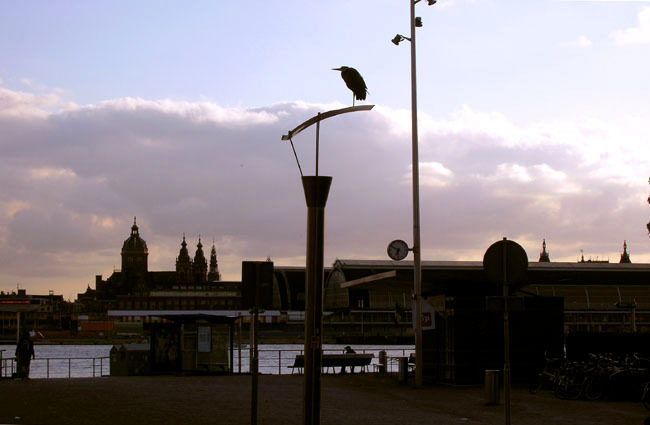 we spent some time exploring Amsterdam and the surrounding area. 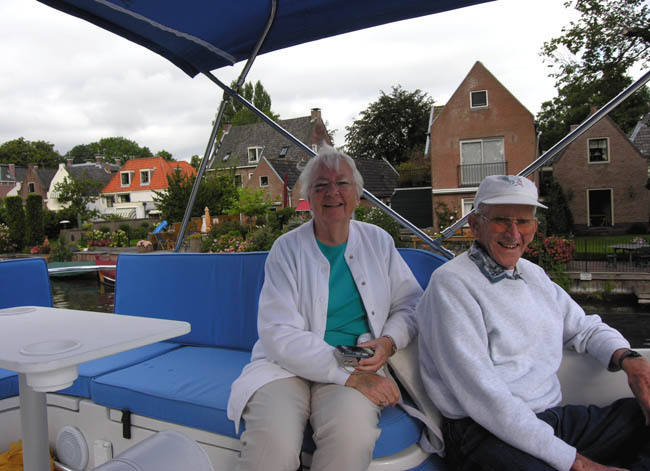 We took the obligatory canal boat tour and we even went, with Nancy's parents in tow, to the infamous Red Light district. Nancy felt a bit odd doing this with her mother, but they both seemed to enjoy it. There's no other place quite like Amsterdam! 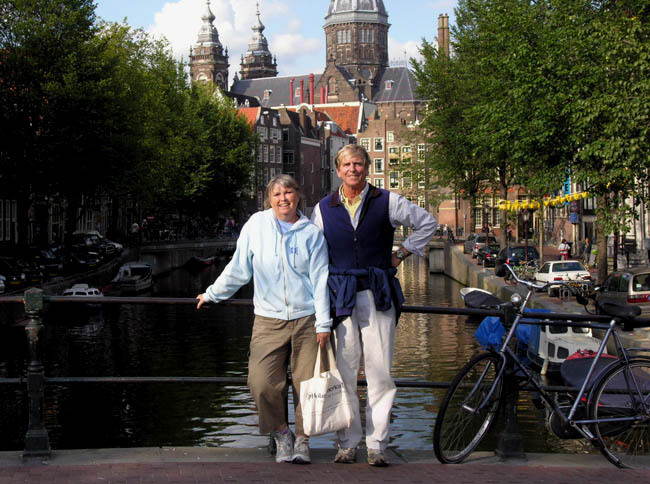 For more Holland photos, click here. View from the ferry terminal near Six Haven looking across the Ij toward Amsterdam. A free ferry ran every 15 minutes from here.